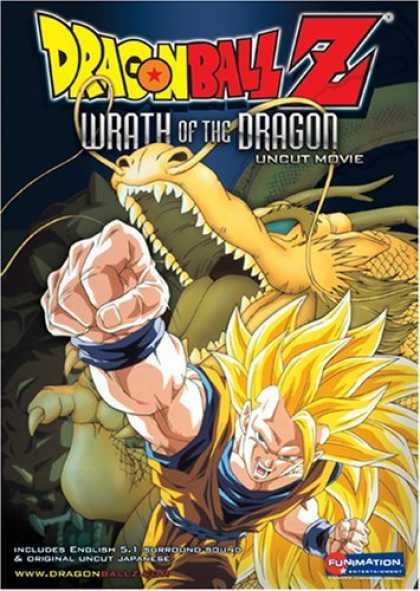 The 13th and final Dragon Ball Z movie, is also known as Dragon-Fist Explosion!! If Goku Can’t Do it, Who Can? Teen-aged Gohan rescues an old man threatening to commit suicide, who turns out to be Hoy, the last of an evil race of aliens. He tricks the gang into finding the Dragon Balls and asking Shenron the Dragon to open a sealed music box, releasing both the hero Tapion and the monster Hirudegarn. Trunks is dazzled by Tapion, and works to befriend the elfin alien. Hoy plans to use Hirudegarn to destroy Earth, but Tapion and his magical ocarina hold the monster at bay. When the megalomaniac Hoy overcomes Tapion, it’s Goku, Gohan, and the rest of the Super-Saiyans to the rescue!